Few things frightened the Dayak warriors of Borneo, who were infamous for the gruesome custom of head-hunting. But on a December day in 1912, a series of thunderous booms reverberated across the island’s misty swamps and sent them racing towards the shelter of their huts. Many feared they were about to endure the wrath of the gods or at least a severe storm. But it was in fact a man-made cacophony, a 21-gun salute to announce the birth of a male heir to the throne of Sarawak, the small jungle kingdom on Borneo’s western coast. The baby whose arrival was so celebrated that day was not, as might have been expected, one of the Dayaks, Malays or Chinese who made up Sarawak’s population of half a million. Indeed, Anthony Brooke could hardly have been more British. Born thousands of miles away in England, he would later be educated at Eton and Oxford. 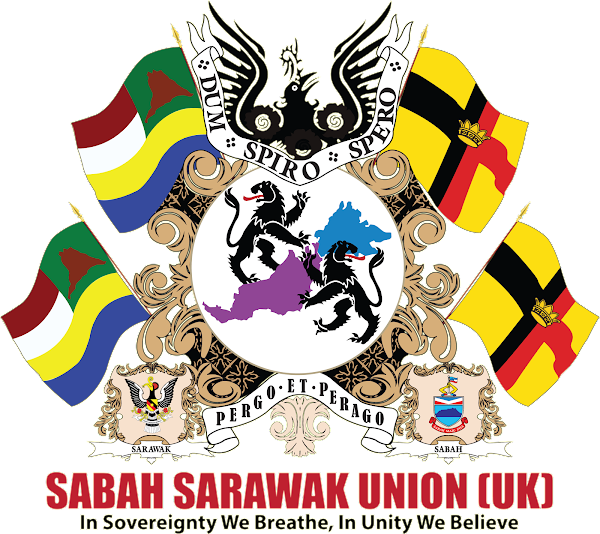 Yet as far as the people of Sarawak were concerned, he was royalty. Since 1841, his father’s family had taken it upon themselves to rule this remote region as their private empire. The White Rajahs, as they became known, had the power of life and death over their subjects, not to mention their own constabulary, flag and postage stamps. 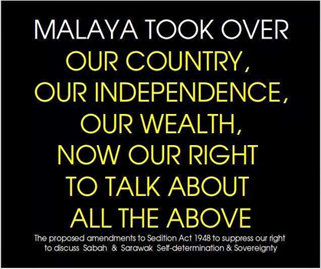 Anthony, too, would go on to govern Sarawak. In fact, this bizarre and extraordinary dynasty — known as much for its eccentricity as for its benevolent rule — only came to an end this month when he died at the age of 98. The family had come to power thanks to Anthony’s great-great-uncle James Brooke — a man so swashbucklingly adventurous that Errol Flynn once proposed to play him in a film about his life. Born in Benares in 1803, he was the son of an English judge who worked for the East India Company. As a young man he joined the Bengal Army, waging war against Burma as the British Empire sought to expand, but his dreams of glory ended abruptly when in 1825 he was shot in the most intimate part of the male anatomy. During an understandably long convalescence, aided in true Empire fashion by daily cold baths, he began reading books about the Far East. This later inspired him to lead the crew of a vast 142-ton sailing ship on a voyage to challenge Dutch control of southern Borneo. His arrival in Sarawak in 1839 was timely. The region was controlled by the Sultan of neighbouring Brunei who was then facing a rag-tag uprising by local Malays. 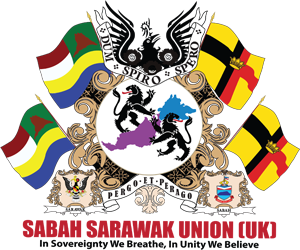 He offered Brooke sovereignty over Sarawak if he could lead the Sultan’s army to victory against the rebels and the Englishman with a taste for lunatic danger quickly obliged. As the newly-appointed Rajah, Brooke took charge of what amounted to 3,000 square miles of swamp, jungle and river, much of it populated by the Dayaks. They marked important events in their lives by taking the heads of other people in the community. If a Dayak husband failed to present a human skull to his wife after the birth of a child then it was feared that the newborn would meet with illness or even death. Likewise, no young Dayak warrior ever went courting without first donning an animal mask and skins and ambushing a fellow Dayak, often a woman or child from his own community. He then made his intended a present of his victim’s skull. 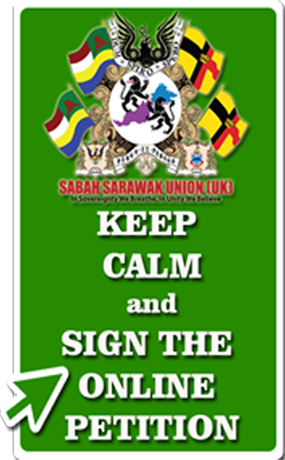 Such acts were outlawed under the many new laws which James Brooke introduced to civilise Sarawak. 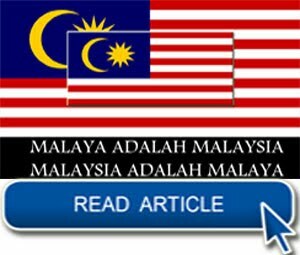 As self-appointed judge, he presided over court sessions in the front room of his own house, a hastily assembled plank-and-thatch affair in the capital Kuching. With his pet orangutan, Betsy, scampering around in the background, the legal proceedings attracted much interest in Sarawak, although not for the reasons Brooke had intended. For many, the main draw was the opportunity to place bets on the fate of those on trial including, in one most bizarre case, a man-eating crocodile. This creature stood accused of killing a court translator who had toppled drunkenly into the river one night and, after much weighing of the arguments for and against its punishment, Brooke solemnly recorded the verdict in his journal. Perhaps because of his delicate war injury, Brooke never married. Before his death in 1868, he nominated as heir his sister’s son Charles Johnson, a former sailor who changed his surname to Brooke upon becoming Rajah. A beneficent and much-loved ruler who was 39 when he came to power, Charles extended the boundaries of the land under his control into the interior until it was the size of England, abolished slavery and built roads, waterworks and a even — in the style of a true Victorian — a railway. He also encouraged his British officers to take native women as lovers in the hope that they would become ‘sleeping dictionaries’ who could teach them the local language. But at home he was somewhat less easy-going. 'Charles was something of a queer fish,’ his British wife, Margaret, once said. This was a somewhat understated description of a man who had lost his eye in a hunting accident and replaced it with a glass one, taken out of a stuffed albatross. Charles forbade his sons to eat jam because he deemed it effeminate and his marriage became strained after he killed his wife’s pet doves and served them in a pie for her supper one night. Perhaps unsurprisingly, she spent much of his 50-year period of rule back home in England. Seldom seen without a green parrot perched on her wrist, she lived in a house near Ascot called Greyfriars and became obsessed with finding wives for their three sons. She did so by inviting eligible young women to join them in forming a musical ensemble known as the Greyfriars Orchestra. Among those attending the first rehearsal in 1902 was the Honourable Sylvia Brett — daughter of the 2nd Viscount Esher — later to become known by newspapers of the day as Sylvia, Queen of the Headhunters. Although she had no musical skills, Sylvia’s contribution to the Greyfriars Orchestra was as a percussionist. She obviously performed with beguiling effect, because one day the Brookes’ eldest son Vyner, then 28, made his move, asking if he might tune her drum. A subsequent courtship resulted in their marriage in February 1911, after which they set sail for Sarawak. By then, the Rajah’s Palace was an imposing affair, perched on a hill overlooking the river and comprising three airy bungalows with wide verandahs. The couple would sleep through the afternoon, then have tea and play tennis or golf in the cool of the evening. It might have been an idyllic existence had Sylvia produced a son to ensure the succession after Charles and Vyner. She became pregnant almost immediately, but the child she gave birth to in November 1911 was a girl — to Rajah Charles’s disappointment. The following year, however, he received news from England that filled him with joy. His second son Bertram had married Gladys Palmer, an heiress to the Huntley & Palmers biscuit fortune, and she’d had a boy called Anthony who would serve as an heir if Sylvia failed to produce a son of her own. 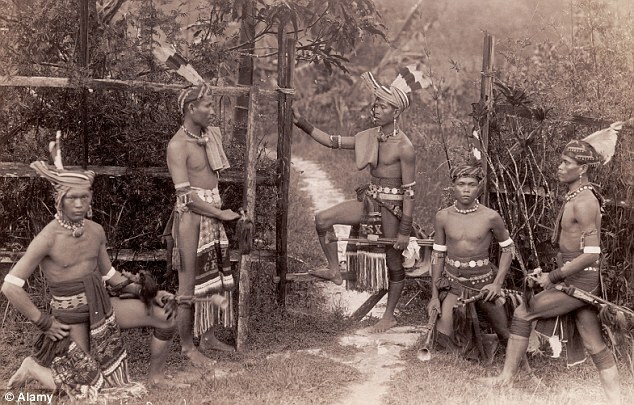 In jubilation, the Rajah ordered the firing of the 21-gun salute, which so alarmed the Dayak warriors. Sylvia, who went on to have two more daughters but no sons, never forgave little Anthony for his much-heralded arrival in the world. Sylvia would divide the rest of her life between battling to ensure that her daughters succeeded to the throne instead of Anthony and bestowing her sexual favours upon anyone she happened to find attractive. She would divide the rest of her life between battling to ensure that her daughters succeeded to the throne instead of Anthony and bestowing her sexual favours upon anyone she happened to find attractive. In this she was no worse than her husband, Vyner, who made no effort to conceal his liaisons with various Sarawakian mistresses. But in a European woman — and a Viscount’s daughter to boot — such behaviour was regarded as shocking. Not that this was likely to bother Sylvia. By the time her father-in-law Rajah Charles Brooke died, in 1917, she was back in England, flaunting her exotic royal status. Sallying forth into London society in a Malay dress and yellow sarong, she topped her outfit off with a snakeskin headband and a tasselled red lacquer cane. On her journey back to Sarawak to witness her husband Vyner’s oath of succession, she stopped in Cape Town for a few weeks. There she could not resist often disastrous dalliances with a series of South African men. One came to her hotel room late at night and she discovered too late that, like her father-in-law, he had a glass eye. She spent the night sleeping upright in a chair, while her intended paramour snored in her bed. 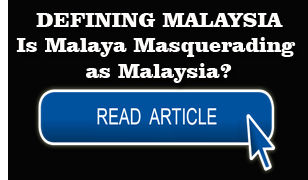 Perhaps her wantonness ran in her genes, because as her daughters reached an age where they were interested in men, she encouraged amorous escapades with young Government officers in Sarawak. The antics of Princesses Gold, Pearl and Baba, as they were nicknamed by locals, fascinated the press in both Britain and America — and by the Thirties Sarawak had become something of a music-hall joke. As he grew older, Vyner appeared to lose interest in the day-to-day business of government and considered abdicating. Since his brother Bertram had suffered a nervous breakdown and was incapable of rule, his natural successor was his nephew, Anthony. In 1939, during one of Vyner’s annual pilgrimages to England for the flat-racing season, the 23-year-old heir apparent was left in charge of the country for six months. He made a good impression on the British Colonial Office, despite his aunt Ranee Sylvia accusing him of inflated self-importance. She reported, among other things, that he had attached a gold cardboard crown to his car and ordered ox-carts and rickshaws to draw aside as he passed. 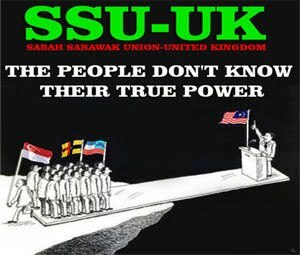 He denied these charges, but he was never allowed to inherit the rule of Sarawak because in 1946 Vyner agreed to cede it to the British Crown in return for a substantial financial settlement for him and his family. So it became Britain’s last colonial acquisition. 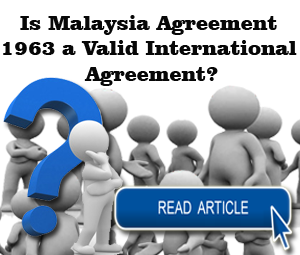 After failing in a long legal battle to have the sale of Sarawak reversed, Anthony began a second career as a self-styled ‘ambassador-at-large for the people of the world’, travelling the globe and campaigning for peace. 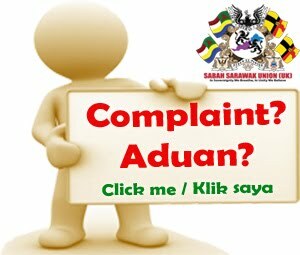 This put an increasing strain on his marriage to Kathleen Hudden, the sister of a Sarawak government official. They had three children but eventually separated, not least because of his increasingly bizarre beliefs. At one point, he joined a New Age Commune in North-Eastern Scotland and adopted their belief that flying saucers would one day bring ‘peace on earth and to the brotherhood of man’. He and Kathleen finally divorced in 1973 when he told her he was about to be contacted by extra-terrestrials and did not want her caught up in whatever dramas ensued. He went on to marry a peace campaigner from Sweden who was 18 years his junior. Together they travelled the world, producing a newsletter which focused on issues, including environmental protection and the rights of indigenous people, before finally settling in New Zealand, 5,000 miles from the land he once dreamed of ruling. We will never know how Sarawak would have fared if he had ruled for longer than those brief six months, but these details of his later life suggest one thing. When it came to continuing his family’s tradition of idiosyncratic government, history would not have been disappointed in Anthony Brooke, the last of the White Rajahs.